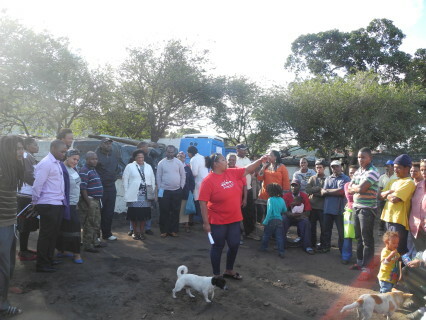 Informal settlement leaders from Kenville and Foreman Road in Durban are mobilising their communities to upgrade their settlements with better services and improved spatial layouts. 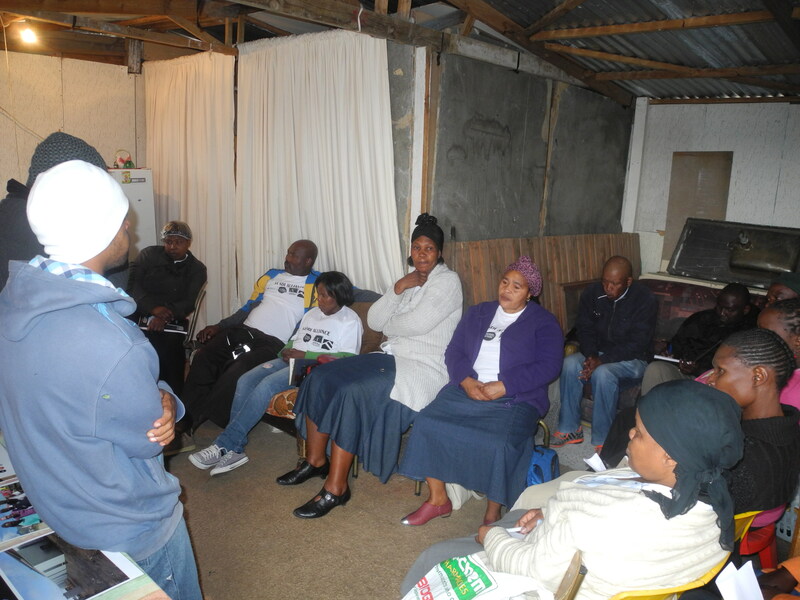 Last week’s exchange to Cape Town (29 April – 2 May 2014) therefore presented a first-hand opportunity for them to draw insights from fellow community leaders. Over the week the Durban visitors were hosted by Kuku Town, Flamingo Crescent, Langrug & Mtshini Wam communities in and around Cape Town. Each day was dedicated to an in-depth visit of each settlement. This included a detailed site visit, discussions on collecting savings, enumerating and profiling settlements and contributing to planning and mapping. Besides bringing leaders together on a national level, the exchange also connected communities locally: for leaders from Kuku Town, Flamingo and Langrug the exchange comprised a first time visit to the other settlements. Exchanges are thus the most important learning vehicle in the South African Alliance, facilitating the direct exchange of information, experience and skills between urban poor communities. Yet, before partnerships can be formed, a community needs to know its settlement in terms of the number of (un)emloyed people, the number of structures and families and details on service provision (electricity, sanitation and water). This information is collected in enumerations. 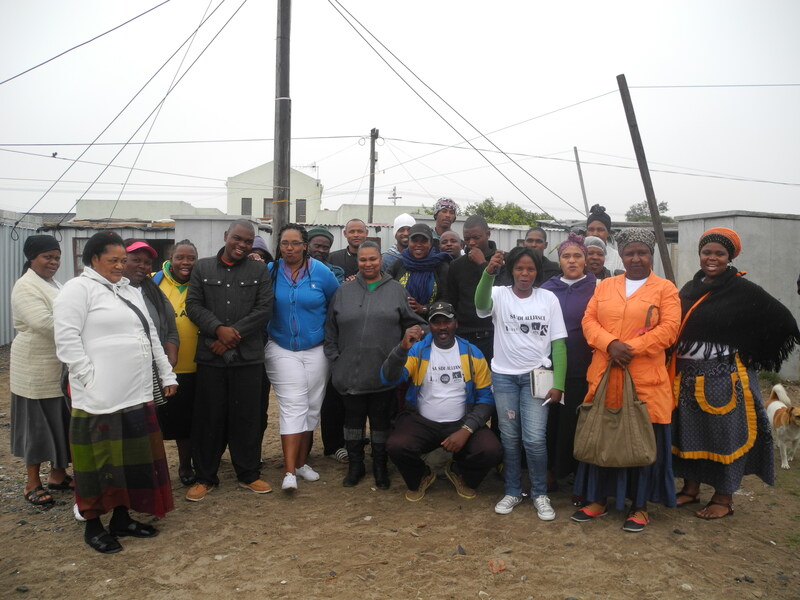 Kuku Town community used its enumeration data to plan its re-blocked layout and to negotiate the provision of one-on-one services and short-term employment opportunities through the City’s Expanded Public Works Programme (EPWP). 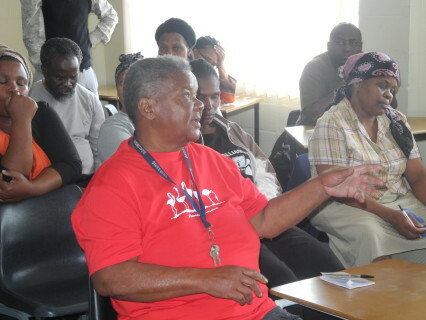 Community leaders explained that they organised themselves in clusters to be able to navigate the logistics around communication and construction during re-blocking. 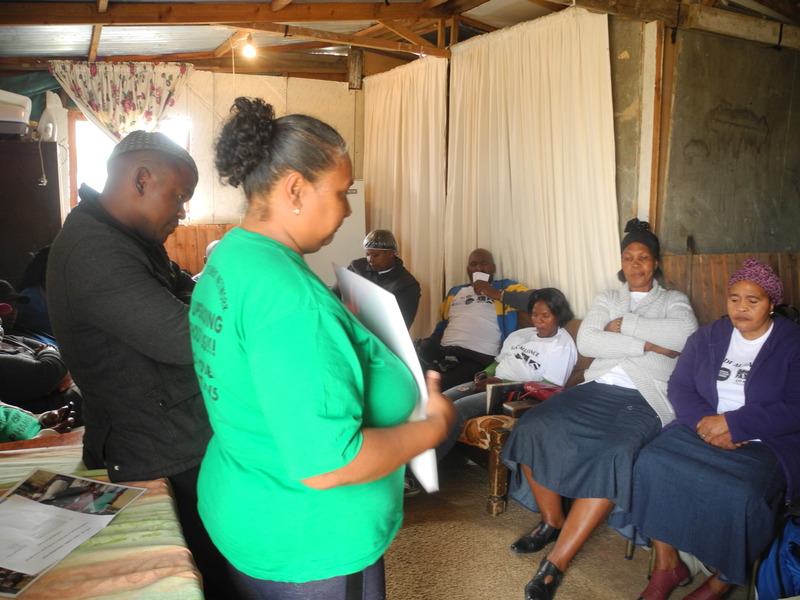 For Kuku Town community leader, Verona Joseph, the partnership with the City and its support in this regard, was crucial. 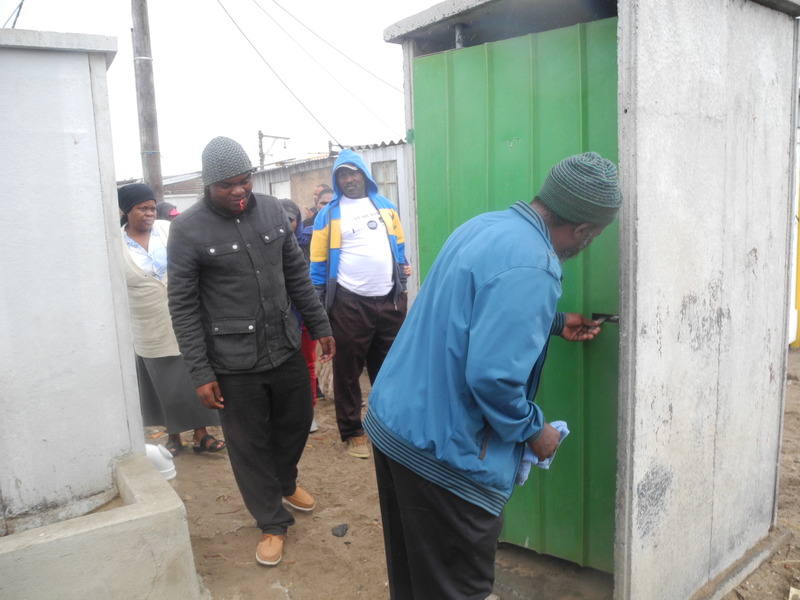 This became evident at Kuku Town’s official handover that afternoon which was attended by the ward councillor and City officials. The handover and a site visit completed the first day of the exchange, demonstrating what a tangible community-government partnership can look like. 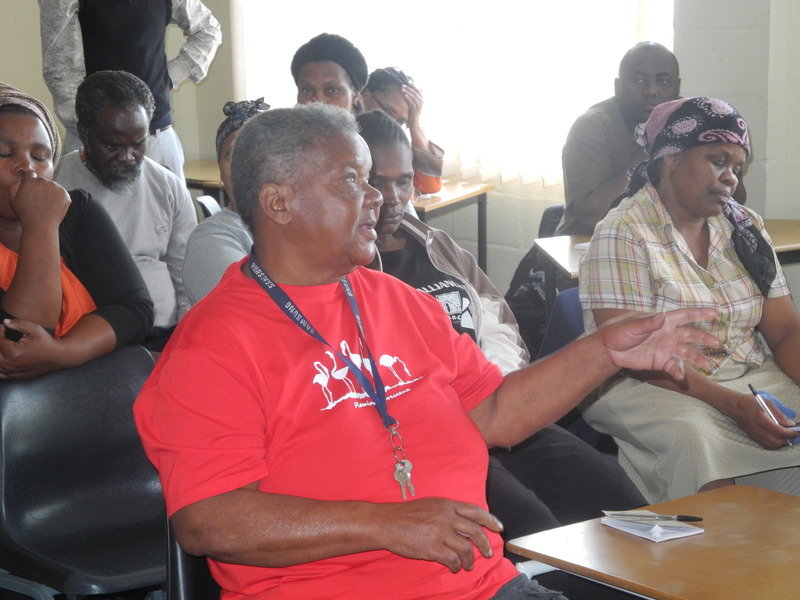 Flamingo Crescent is about to begin re-blocking and – in partnership with the City of Cape Town – is set to receive one-on-one services. On a walkabout through the smoke and dust-filled pathways community leaders received a thorough impression of the settlement’s layout. 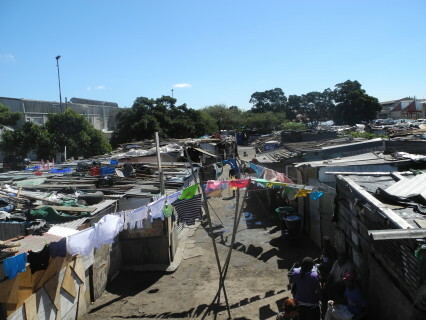 Most structures – consisting of old cardboard, zinc, timber and plastic pieces – are situated around a broad, u-shaped pathway that is intersected by smaller, narrow footpaths. Flamingo’s population of about 450 people resides in 104 structures. The entire settlement makes use of only 2 taps and 14 chemical toilets that are emptied three times a week. 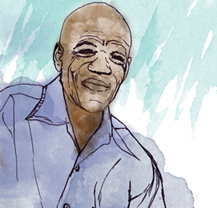 The absence of electricity means that fire is used as a central source for cooking and warmth. 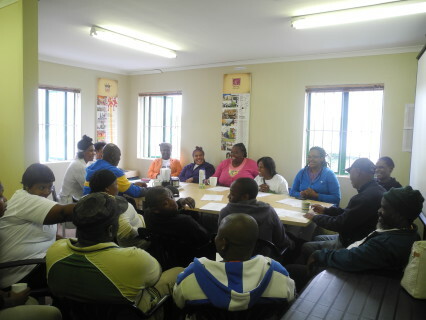 In a nearby community hall, Flamingo’s steering committee explained its relationship with ISN and the challenge of collecting savings contributions due to its high unemployment rate (50%). 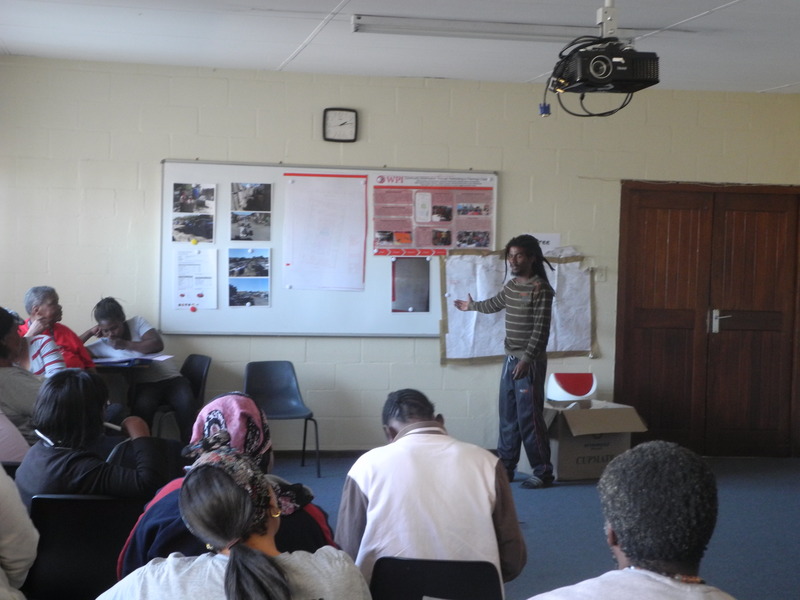 Flamingo’s enumeration acted as a powerful entry point to negotiating an improved layout and service provision with the City of Cape Town. 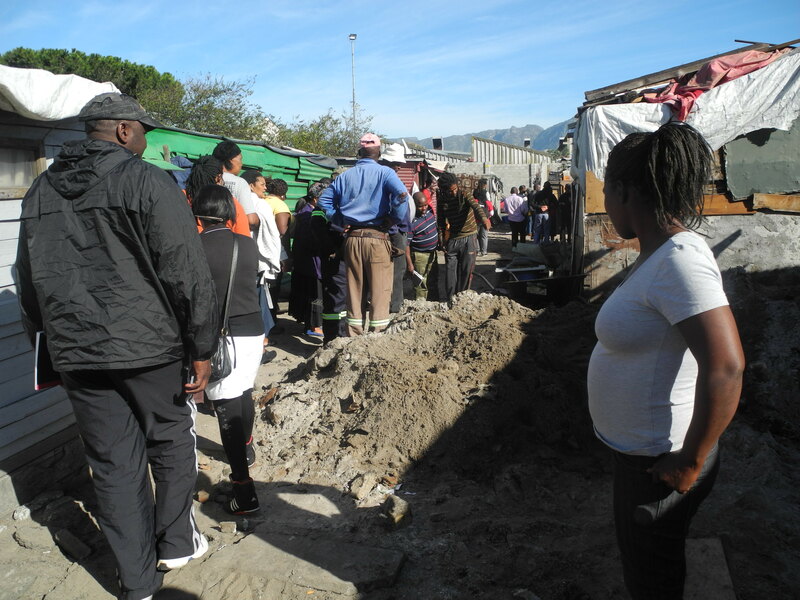 Together with students from the Cape Peninsula University of Technology and Worcester Polytechnic Institute (USA) the community designed the re-blocked layout and conceptualised plans for a crèche and a play park. 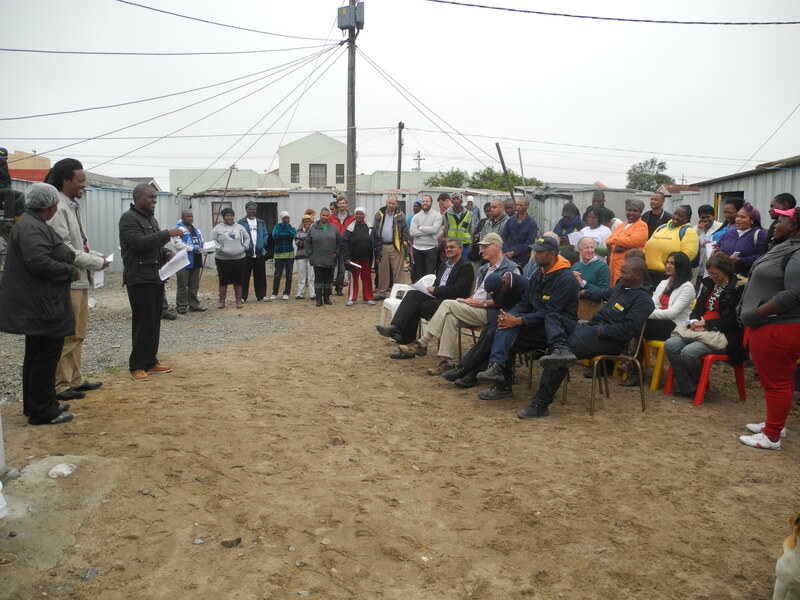 Later, the visitors joined the steering committee’s meeting with a Cape Town City official who provided an update on the City’s contribution to upgrading. For the visitors this was of particular value as it emphasised the crucial role of partnerships and the number of actors involved in a given project. 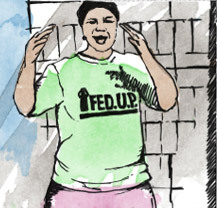 The question at the forefront of many minds was: how can we do this in our communities at home? Continue reading Part 2 of the exchange here.